Martin Taylor has one of the busiest touring schedules in the business. His solo and duo shows tour across the world and he runs guitar retreats in picturesque locations like the Amalfi Coast, Upstate New York and California. Starting from today, though, he will be travelling a bit closer to home as he embarks on an 11 date tour of the UK. Martin is considered, both by audiences and by his peers, as being right at the top of his field. 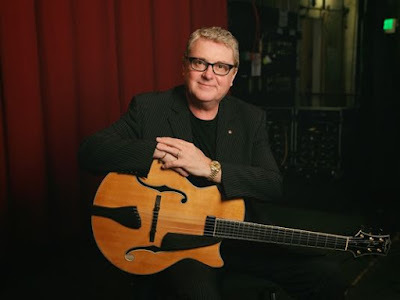 His work with the legendary Stephane Grappelli is well-known and the unique style of his solo performances has led to a global community of guitarists who look to him for advice and tuition. The tour kicks off tonight (Tuesday 15th September) in Guildford and continues until the 27th of September with a number of dates in the North. Full tour dates can be found below and you can visit Martin's website for more information on shows, guitar retreats and more.